I have a regular isolated network 192.168.0.0/24 which consists of windows hosts connected to each other via switches. No router is present. One of these windows hosts is Windows Sever 2012 R2 with DC role and also DHCP role enabled. This Server has 4G Huawei modem connected to its USB interface. Could you please help me to configure one windows workstation (Windows 7) to be able to use the internet from Windows Server? In Windows Vista, choose Control Panel from the Start menu, and then choose the Control Panel’s Network Center icon. In Windows XP, choose Control Panel from the Start menu, and then choose the Control Panel’s Network Connections icon; skip to Step 3. 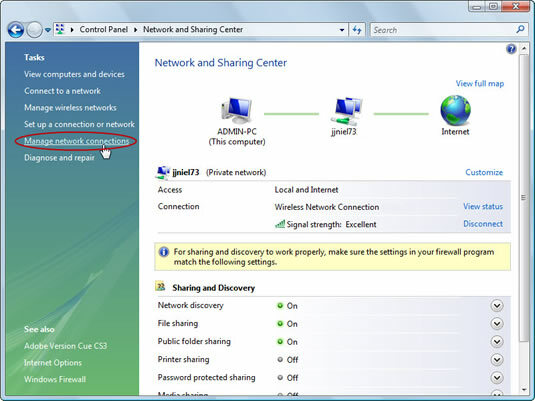 In Windows Vista (only), on the left side of the window, click the link that says Manage Network Connections. Right-click your laptop’s Wireless Network Connection icon, the one you’re using presently to get on the Internet. If you see a User Account Control warning in Windows Vista, click the Allow button. 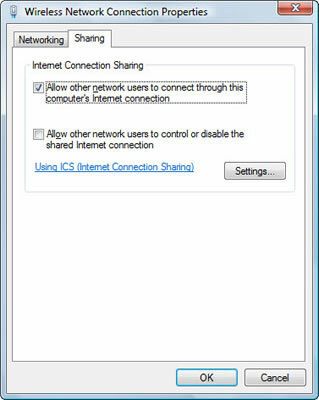 In the network connection’s Properties dialog box, click the Sharing tab. Put a check mark by the box that says Allow Other Network Users to Connect through This Computer’s Internet Connection. Click OK, and close the Control Panel window. At this point, your buddy should be able to get on the Internet by using the direct Ethernet connection to your laptop. He can test it by opening his Web browser and navigating to a Web site. I do not use Vista and I need to share internet only with one PC and not with all. I have one of those cards. You can use the card as a hotspot and let anyone with the password use it. That works for me. You can install a Proxy like WinGate etc. and configure it on the workstation. You can restrict to username/IP etc. 2) making hotspot - not the solution, it requires wi-fi adapters. 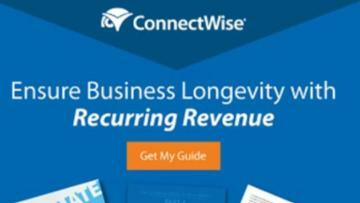 3) wingate is not an option - it's a proprietary software. Maybe there is a way to manually add required routes to server and pc? making hotspot - not the solution, it requires wi-fi adapters. This Server has 4G Huawei modem connected to its USB interface. <-- Use this for a hotspot. Set it up. I do this myself and it does work for me. Once the browser window is up there is a tab to manage WI-Fi settings. Give it a secure password. I understood your solution. It may help when this feature is enabled in modem settings. By default this feature is enabled but I had to disable it via huawei terminal in order to make Virtual Machine (based on EXSi) able to see it. Thank you for your attention and feedback. Why did you have to disable it? Other than traditional networking, I am not sure what else you can do. Mr.John Hurst, I disabled this feature in order to my virtual machine will be able to initialize the modem. I use not a physical machines, but virtual. Unfortunately vmware virtual machine isn't able to detect the modem with it's default settings. Hook up the HUAWEI card to a physical computer and let it be the source of internet that way. Configure NAT on the Windows server. Choose the 4G modem as the public interface and the LAN adapter as the private interface. Configure IP restrictions to allow/block access to workstations as you choose.